A Fragmented Deity @ Museo del Novecento in Florence. Our homage to the Feminine + the exhibition of wonderful new drawings by Cristiana Palandri. Performance of my new experimental work In Between, a group performance with augmented reality made with the essential contribution of Omar Peracha and Viva Sanchez. This was part of the Workshop “Another Stage” at the Impuls Festival, Graz. Performance of my miniature Micro Music (for classical guitar) by Mauricio Galeano, within the Special Program “Micro-Music Lab”, Impuls Festival, Graz. Presentation of the paper Multimedia Art and Transmedia Storytelling: the project Sensibilities at the 5th Italian Conference on Artistic Research in Music (“Quinta giornata Italiana della Ricerca Artistica Musicale”), at the Conservatory of Brescia. Milano, Sala Verdi: final presentations of the Workshop on Artistic Research organized by the conservatories of Milan and Florence, in collaboration with the Orpheus Instituut Ghent. I presented my transmedia installation Sensibilities. Premiere of A Fragmented Deity for voice and electronics at Milano Musica. First presentation of Sensibilities in the form of a live performance, prepared in collaboration with Marta Łaska. My piece Et tout le reste for symphonic orchestra is being played in Mexico! It was selected at the 40th Foro Internacional de Música Nueva. «Transmedia storytelling represents a process where integral elements of a fiction get dispersed systematically across multiple delivery channels for the purpose of creating a unified and coordinated entertainment experience. Ideally, each medium makes its own unique contribution to the unfolding of the story» (Henry Jenkins, 2007). My artistic research aims to find possible ways to incorporate some concepts of transmedia storytelling (typically found in big, mainstream productions) in my multimedia works. Sensibilities is an ongoing project that explores the ambiguity and multidimensionality of perception. The fourth chapter of my audiovisual series Sensibilities is done! I made it at the St. Petersburg Kino Kabaret Kino Time. Titled Fading, it is about the sense of smell. Here are a few screenshots of the video. Our collaborative project for soprano and tape A Fragmented Deity, made with Cristiana Palandri and Sahba K. Amiri and drawn upon the last chapter of James Joyce’s Ulysses, was selected for performance at the 2018 Festival Milano Musica. It will be premiered on October 27. The international tour of Ricardo Descalzo is bringing my piece Then Sound, and Motion, and Touch to the U.S. and Bulgaria! My latest piece for orchestra Et tout le reste, commissioned by the Milan Conservatory and inspired by Paul Verlaine‘s poetry, will be premiered at the Sala Verdi of the Conservatorio di Milano by the Orchestra Sinfonica del Conservatorio conducted by Deun Lee. The Spanish pianist Ricardo Descalzo played Then Sound, and Motion, and Touch at the Fundació Joan Miró in Barcelona, within the Festival Barcelona Modern. He played both the piano and the electronic part (on the iPad), fully integrating acoustic and electroacoustic sounds in his interpretation. The title is a quotation from Edgar Allan Poe’s tale The Pit and the Pendulum, set in a dungeon of the Spanish Inquisition. The tale’s main character explores the dark prison, searching for a way out. In absence of the sense of sight, it is hearing that guides the perception of time and space. Every single sound becomes an instrument of knowledge bringing more definition to the mental map of the place… but perception can be illusory. This piece is a nocturne, seen as “a piece set at night”: a dark space inhabited by sounds that shape different plausible dramaturgies. My audiovisual work Untitled. Hands on Canvas has been selected for screening at the international colloquium Sound / Image: Exploring sonic and audio-visual practice that will be held at the University of Greenwich, UK. My piece Come di luna for soprano and ensemble, set to a poem by Pier Paolo Pasolini, has been awarded the first prize at the XXV International Music Competition “Vittoria Caffa Righetti”. My piece Suite meteorologica (“Weather Suite”) for young pianists was awarded a special mention at the International Composition Competition “Ettore Pozzoli” 2017. This was the only piece in its category (5-8 years old) to obtain such award — no piece reported any major prize this year — and it will be performed at the 2018 Piano Competition “Il Pozzolino”. Suite meteorologica is part of an original new book for young pianists, prepared in collaboration with my former piano teacher Biancamaria Piantelli, that will be ready very soon! The provisional title is Pianisti senza note (“Pianists without notes”). Sounds cool, right? I took part in a performance of butoh dance with live music at the Espressioni Film Festival at the Teatro S. Domenico in Crema, Italy. Here I played live electronics and… a mbira 🙂 Parts 1 and 2 of my ongoing audiovisual project Sensibilities are also screened throughout the festival (Oct. 7 to 20). Some good news! My piece Come di luna for soprano and ensemble was awarded a special mention at the National Prize for Arts (Premio Nazionale delle Arti) 2016. Now my little series of Déjà-vus (2010-11) is finally published at Ars Publica! N. 1 is for a percussion ensemble of student level, N. 2 is my most dadais piece, for violin and street sounds. My last experimental short film Untitled. Hands on Canvas, made at the Kinokabaret in Lublin (Poland), was screened at the final event held on the beautiful Bridge of Culture. It is part of an ongoing project about the 5 senses titled Sensibilities: after the sense of sight (Vision), this is the sense of touch. Thanks to Abraham Weinrich for realising my choreography with such precision, and to Wojciech Olchowski for his help with camera and lights. See also the soundtrack page to watch the other short films made in Lublin featuring my music. Alessandro Baldessari and I made an original soundtrack for Samuel Beckett‘s play Krapp’s Last Tape, performed at Teatro Binario 7 in Monza. Our music included both electroacoustic tracks and a live performance featuring Mohammadreza Bornak (setar) and Cecilia Santo (cello). Here is a review where you can find the video of a few moments of the show. Vision, my abstract short video inspired by Diderot’s Encyclopédie, was selected for screening at the festival “A Minimal View” held in Padua from the 3rd to the 30th of June. This screenshot was also used as the main image of the festival. My last piece Then Silence, and Stillness, and Night for prepared piano and ensemble was awarded the first prize at the “Premio del Conservatorio 2017”. It has been premiered by the mdi ensemble at the Milan Conservatory on June 9. The prize consists in 5.000 euros for the commission of an orchestral piece to be premiered next year. The awarded piece will be recorded and released on CD for the magazine “Suonare News”. Happy to contribute to the final event of the Franco Agostino Teatro Festival in my home town Crema (Italy). Children and teenagers from local schools will move and dance to a few pieces of mine in different styles: an electronic groove, a dreamy piece, a ragtime. The final song, that will be sung by hundredths of children, is a playful remix of some Beethoven quotations such as Für Elise and the beginning of the 5th Symphony (lyrics by the amazing Nicola Cazzalini). My piece Déjà-vu 1 for percussion ensemble has been selected to be included in the Datenbank Neue Musik, a database for contemporary music listing works by contemporary composers which are suitable for school practice and ensemble work. “The Light-House” is an experimental short film drawn upon the last, unfinished tale by Edgar Allan Poe. On Oct. 3, 1849 Poe was found in a street in Baltimora, in great distress and wearing clothes that were not his own. He died on Oct. 7, without having a chance to shed light on the causes of his death. According to his biographer Kenneth Silverman, between May and August 1849 Poe wrote 4 pages of the so-called “Griswold” manuscript, where the draft for this incomplete tale is found. It is in the form of a diary kept by the new lighthouse keeper, who has just arrived in such a remote and solitary place. The main aesthetic and cultural reference for my short film (for which I made both the audio and the video) is the silent cinema of the 1920s and 30s, and in particular its abstract and non-narrative experiments. The original text has been reduced to a few, significant excerpts that form a wandering and vague narrative, ending in the final dissolution. All images were made using home-made objects and old-fashioned optical special effects. A new project: making live soundtracks for silent films! Together with the composer and performer Miguel Angel Frausto we made a new original soundtrack for Jean Epstein’s 1928 film La chute de la maison Usher. It was performed at a special event dedicated to Edgar Allan Poe, organised by the Amenic Cinema club in Crema. We played both electronic and acoustic instruments… including sound-making objects! Here is the trailer of our performance. The name of our duo is NOISE4EYES. La ragazza Carla, the documentary by Alberto Saibene with my music, will be broadcast on the channel Rai Storia at 10pm. My last musicological essay on Ligeti’s Etude White on White has been published on the online journal Analitica. The abstract can be found here. Enjoy! My piece Haunted for amplified guitar has been played at the Darmstadt Ferienkurse für Neue Musik by the wonderful Ruben Mattia Santorsa. Here is the live recording of the piece! A nice surprise in the mailbox: the printed edition of Déjà-vu 2 for violin and street sounds, by Ars Publica. Love the folding sheet! Mahlers Fische, my divertissement for ensemble based on Mahler’s Lied Des Antonius Von Padua Fischpredigt, was included in a delightful concert featuring shadow puppets, held at the Milan Conservatory. My piece Edgar’s Visions has been selected for an open rehearsal in Milan with the Ensemble Shallfeld, ensemble in residence at the 2016 Darmstadt International Summer Course. Can’t wait to hear the piece! Good news! Today I am starting to work as a Professor of Harmony and Music Theory at the Conservatorio “Lorenzo Perosi” in Campobasso, Italy. The recording of my orchestral piece Buildings is now available on Soundcloud at this link. Thanks again to the orchestra and the conductor for the amazing job! I have been selected by the Italian music journalist Paola Maugeri as an emerging talent for the interesting project My Music Coffee by the Sicilian coffee makers Moak. My music is currently associated with the “classic” coffee capsules, and it can be listened via a QR code. Wednesday, Sept. 30 at 18:30, Libreria Feltrinelli in Napoli (Piazza dei Martiri) – I will be playing the selected piece Music Box and other recent music for piano and electronics! 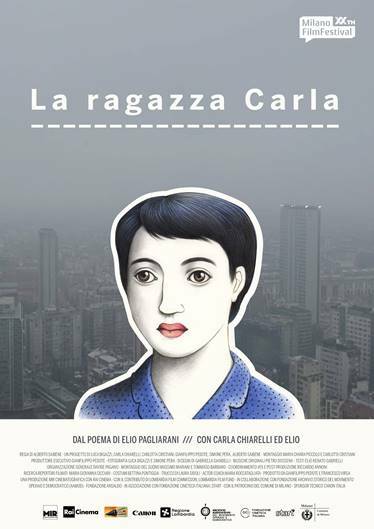 The film “La ragazza Carla”, drawn upon a beautiful poem by Elio Pagliarani, is being premiered tonight at 21:30 at the Mare Culturale Urbano (via F.lli Zoia 10, Milano). Here is a very short bonus track from my original soundtrack, where the intense voice of the poet can be heard. Working on the soundtrack for the film “La ragazza Carla” by Alberto Saibene. This is my very portable studio: a MacBook Pro for the editing in Logic Pro X, an audio interface, a keyboard, an iPad with a few supercool music apps, headphones and monitors. 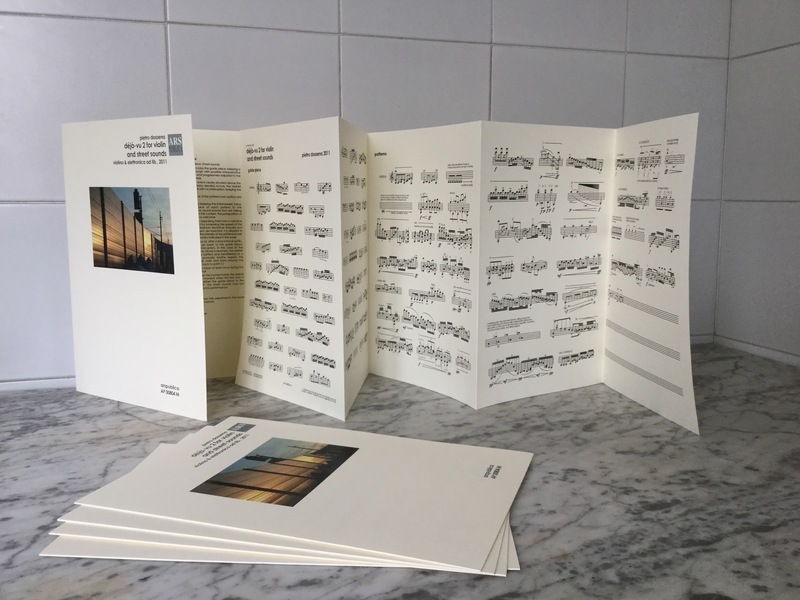 My orchestral piece Buildings won the annual call for scores at the Conservatory of Milano. It will be premiered at the Sala Verdi by the Orchestra Sinfonica del Conservatorio. The invited conductor is the wonderful Tito Ceccherini! The concert programme is found here. My electroacoustic piece Santa Barbara Portraits, selected as a finalist in the 2014 Luigi Russolo Contest, was awarded the Gianfranco Maffina Mention for the innovation in the composition. It was played in the final concert at the MACBA in Barcelona on Oct. 24 (Festival LEM). It will also be played at the Studio Forum acousmonium during the Le Bruit de la Neige Festival, and it will receive airplay on the Música i Geografia and Música i Química radio programmes, on Barcelona’s FM frequency, Radio France, Radio Libertaire (Paris), … The piece will also be included in a CD to be released by Monochromevision (Moscow) in Jan. 2015. I attended the Synthetis International Summer Course for Composers in Radziejowice, Poland. It has been a wonderfully enriching experience! Here is a nice group photo taken by Adam Walanus. At the final concert, held on Aug. 15, the accordionist Maciej Frackiewicz beautifully played my latest piece Sonnet 104, inspired by a Shakespeare sonnet (listen).